Fontes Youth Centre recently welcomed around 50 new students to our premises. The majority of the students are enrolled in the newly developed catering and business course, while others will be attending short courses in either ICT or English.The courses kicked off 24 September; the first week was then dedicated to orientation week, giving the students an opportunity to get to know each other and the facilitators, and to get introduced to the subjects. Denis, manager of Fontes Youth Centre, holding an introduction session the first day of the courses. FYC has for a number of years offered courses in applied business skills, which also has included modules in business English, ICT and personal development. 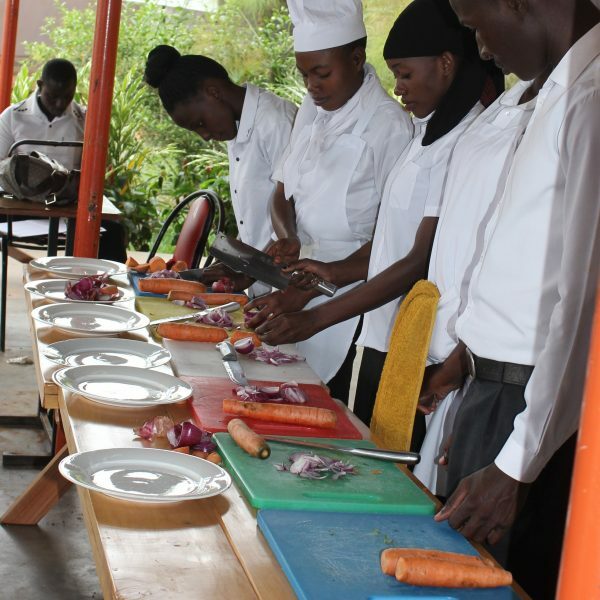 Catering was introduced as a separate course in February 2018, after Julius Kamukama, FK Norway/NOREC exchange participant from Amizero Training Center in Rwanda, started working at FYC. Julius has a degree in hotel management and experience from working as a professional chef. He is also passionate about empowering others, and enjoys passing on his skills. Julius was therefore asked to develop a course in catering for the FYC. This course was running as a separate course during the previous cohort. The course proved successful; the demand was high, and 23 students graduated in catering. Many of the students taking the catering course also wanted to benefit from what was being taught in the applied business skills course, as many of them were aiming to start their own businesses. The soft skills training provided in the applied business skills course was also deemed relevant for the catering students. This, in combination with the high demand for the catering course, made it reasonable to merge the two courses, including the modules in business English, ICT and personal development. 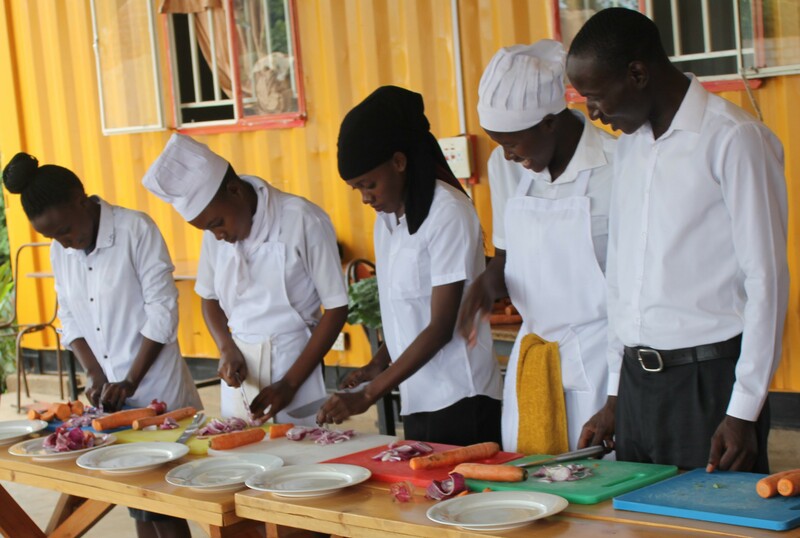 All the course components are feeding into each other and are providing the students with a holistic education that includes the soft skills needed to make use of their practical catering skills in a meaningful way, either as entrepreneurs or as employees.